Two very rare guns. 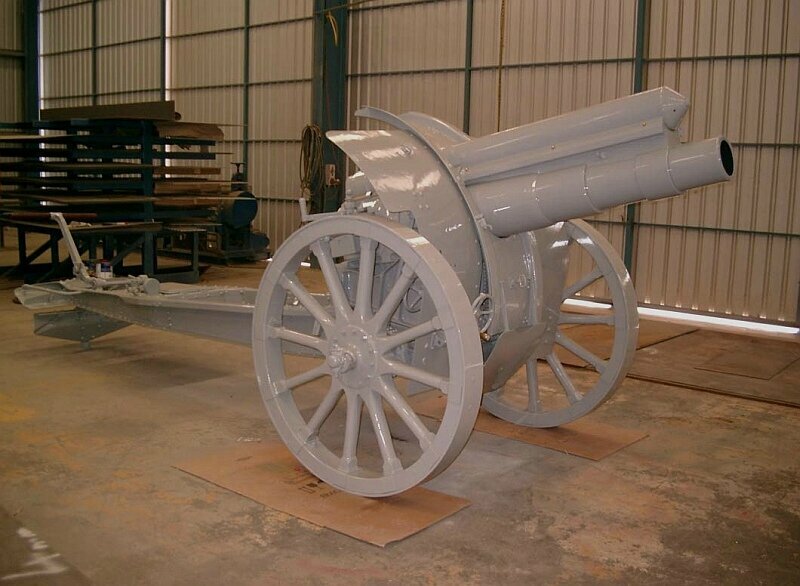 One, you've seen before, is at Jamestown, SA - this has been completely restored now (serial no. #19). The other is in AWM storage at Mitchell, Camberra (serial no. #20). 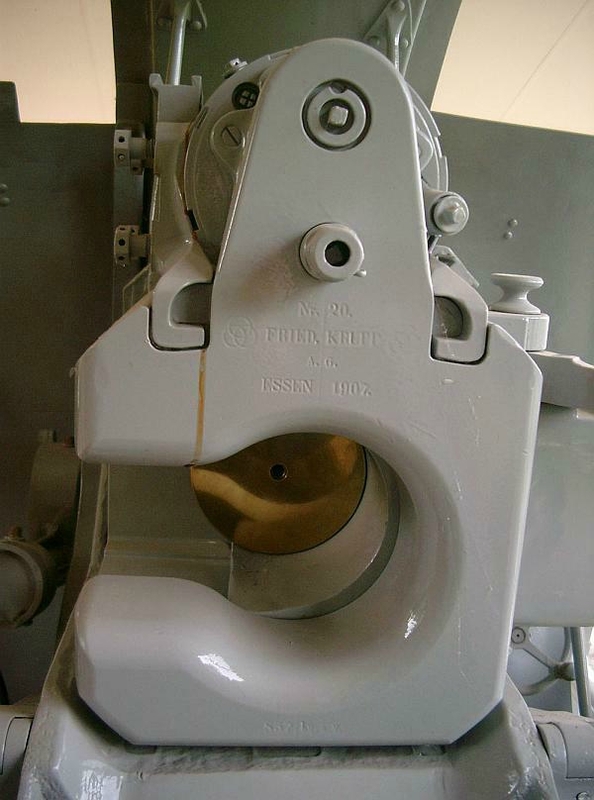 trials neither gun was accepted and a new hybrid gun composed of both Krupp and Rheinmetall components was proposed. a reasonable case for the identity of the guns. a copy if you're interested (sorry English only). The gun is NOT upside-down!!! During the late 1990s thru to the early 2000s I was the historian on the committee that restored the sFH02 in Jamestown SA. 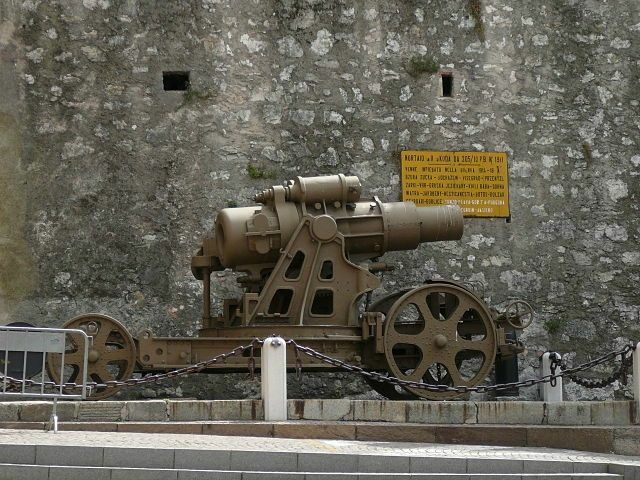 The Jamestown gun is a RARE VARIANT of the standard sFH02, specially built for the Turks. 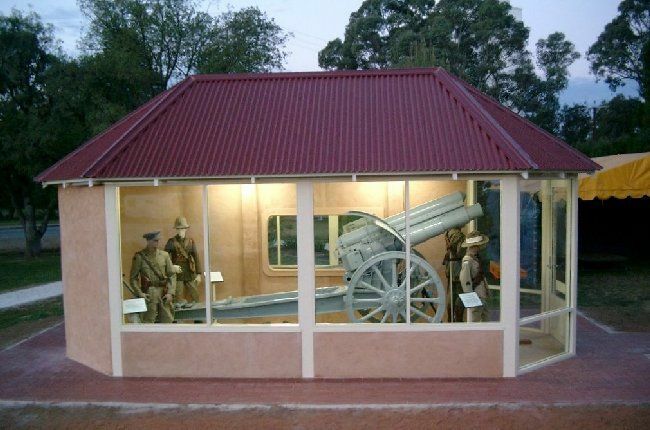 Our research (which even involved contact Krupp in Germany) showed that there is only one other of this variant still surviving, it is at the Australian War Memorial in Canberra. Theirs is Nr.19, Jamestown's is Nr.20. The differences between this variant and the standard sFH02 are as follows: 1 the barrel is LONGER than the recoil cylinder. 2 The recoil cylinder is circular in cross-section, not square 3 the recoil cylinder is mounted ATOP the barrel, not square and 3 the recoil spade is different. I hope the SO-CALLED "experts" will come and VIEW the gun before shooting their mouths off in future. Honestly, do you think we would be so stupid as to restore a gun upside-down...???? This gun is a rare variant of the sFH02 and is meant to look the way it does. 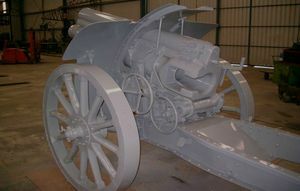 The 15cm versuchsHaubitze get a mention in Schirmer's book on WW1 German artillery. He notes that Krupp proposed 3 prototype guns for the 1911 evaluation trials of a new 15cm field howitzer for the German Army. The original Krupp prototype proved to be overweight and was excluded from the trials, although the design may have been used for the 1913 design for the Italian Army. 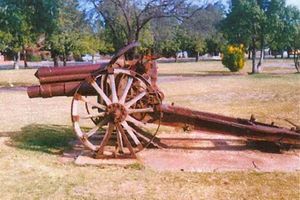 The Jamestown gun is a good match with the description of the first gun. The design appears to have used the same barrel as the 15cm sFH02 (L/12). 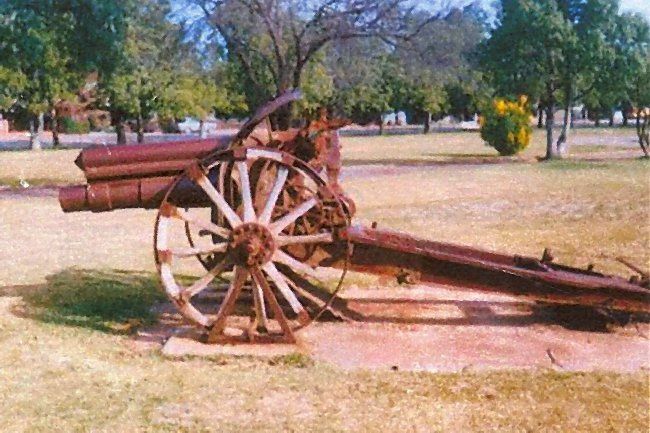 It would be nice to find out what the details of gun #19 are - it certainly has back positioned trunnions but it's not known whether it has constant recoil or an equilibrator. 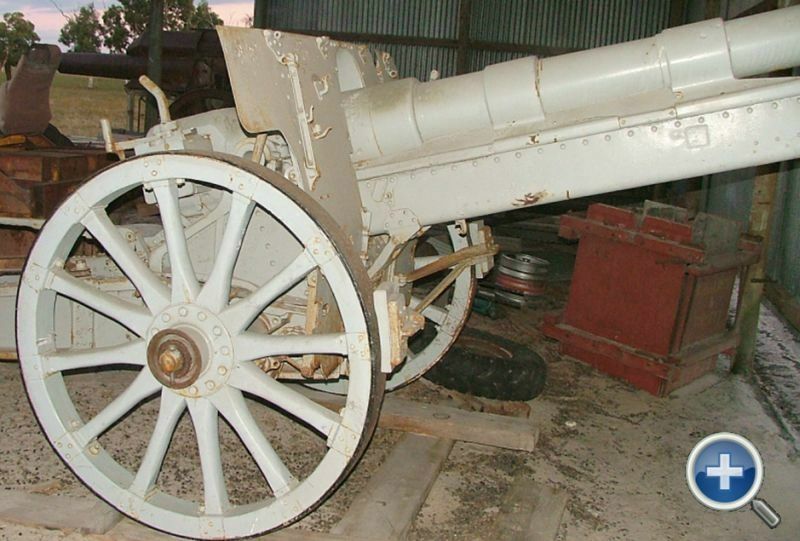 There was another gun, notionally, of this type captured - #22 allocated to Brighton, Vic., now lost. I haven't been able to find an image of this gun to confirm its type. The AWM records of war trophy allocation indicate that gun #19 at the AWM was captured at Damascus by the 4th Light Horse. 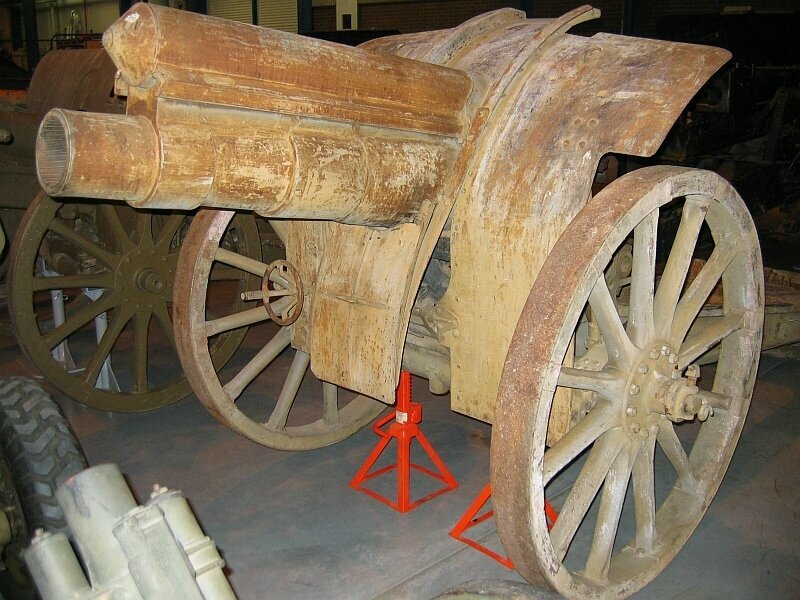 It's been suggested that the Jamestown gun is one of the 15cm Krupp Model 1905 export guns sold to Turkey in 1907 but one of these has turned up in the Army Museum, Sofia, Bulgaria. Looks nothing like the Jamestown gun and has an L/14 barrel.